Yes, I’m emailing on my day off (my birthday) but my husband gave me a gift this morning that made me think of both of you and Drexel. 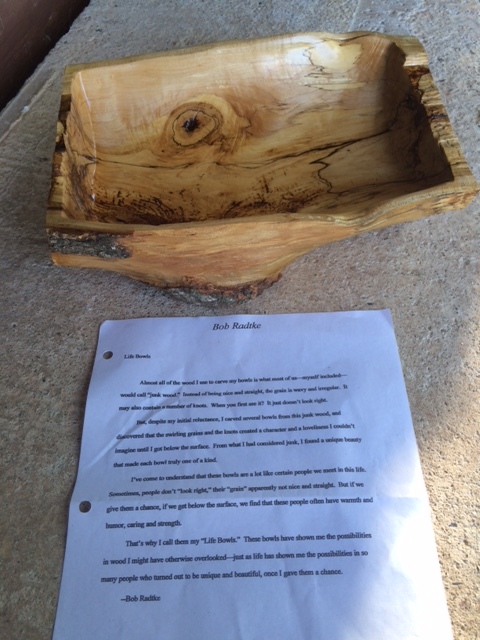 A hand carved wood bowl that came with quite the inspiring letter from the creator. See the attached pictures. 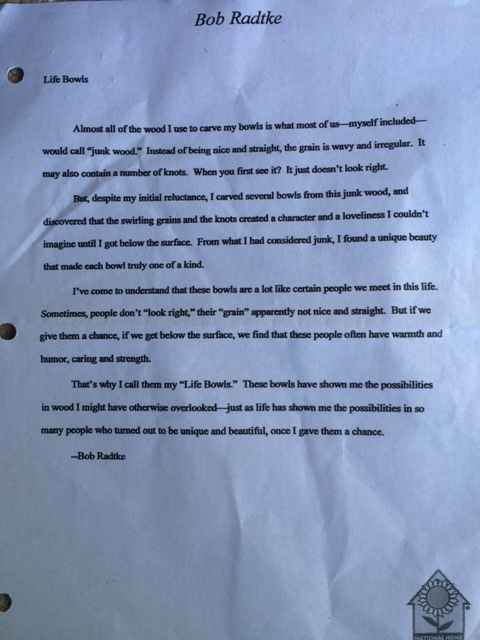 We sell lumber for a living but it’s so much more than just that. We take a simple thing (a piece of wood, piece of siding, etc.) and help to turn it into a thing of beauty. Someone’s home. Someone’s happiness. We come across people that aren’t always the most fun to deal with, may scream and holler some days but at the end of the day they are people too. It’s always easier to write these people off and move on to the next. May each of us look for the beauty within each contractor, client and team member and always remember each person has a hidden beauty inside that shouldn’t be overlooked. As leaders we should always remember to give each person we encounter a chance and look for that uniqueness they posses.